I ❤️ my slow cooker. It may be an obvious love in the winter, but it’s just as essential in the summer. If it’s even remotely nice out there is no way I’m going to spend the evening standing in the kitchen. Having something that can cook itself frees more of my evenings for lounging on my front stoop. This recipe I found in Real Simple. I made way more of it, and I didn’t measure much. They suggest serving it with couscous but I’ve never been a fan. This time I did the garlic Naan from Target. But really, you could eat it with any carb of choice. Rice would be an obvious go to. Or perhaps draped over potatoes? Or with crusty french bread? 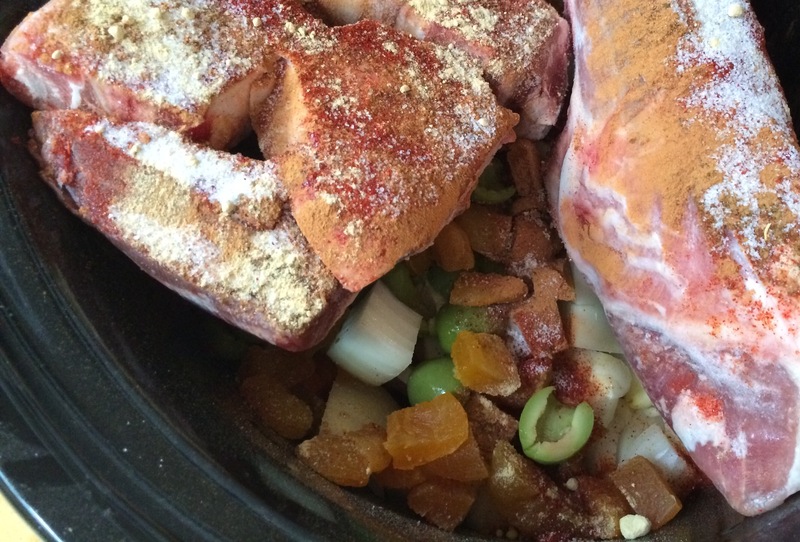 This is what I threw in my slow cooker most recently. All measurements are approximate! 1 cup green olives sliced in half. I used the whole .40lb package of pitted Castelvatrano olives, including the juice. I put my lamb in frozen because I didn’t think ahead and it still turned out great. Cooked on the low setting for 8 hours. Meet was just falling off the bones. Removed bones and fork shredded some meet. I finished it by stirring in a whole bunch of chopped cilantro and a lot of roughly chopped pistachios. 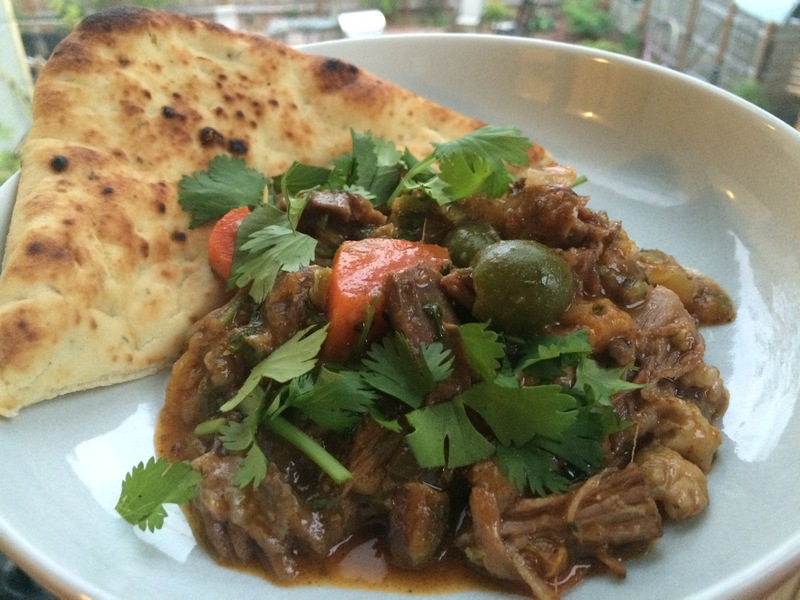 This entry was posted in Kym Cooked and tagged slow cooker, lamb, stew, Real Simple Magazine. Bookmark the permalink. Yum! I love Moroccan flavors, and have just published a bean and chicken stew, a la Moroccan – https://cookupastory.wordpress.com/2016/05/18/moroccan-chicken-stew/.